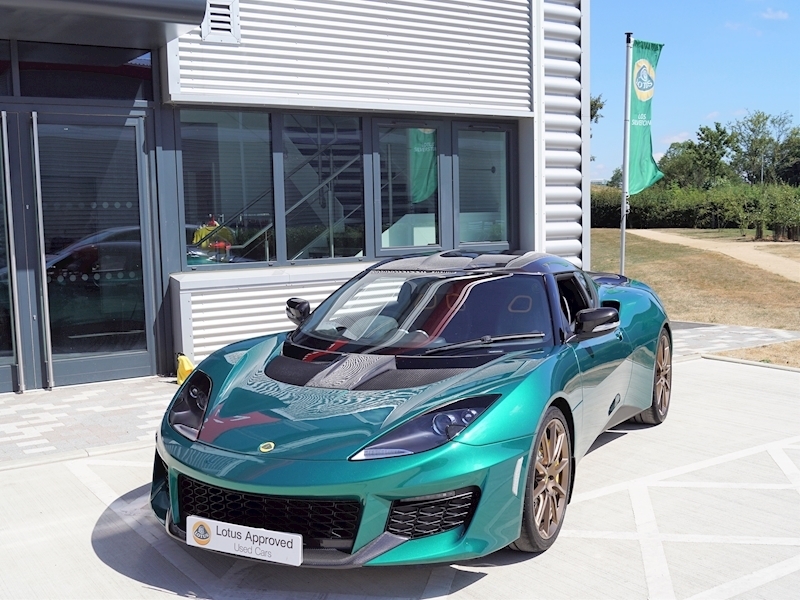 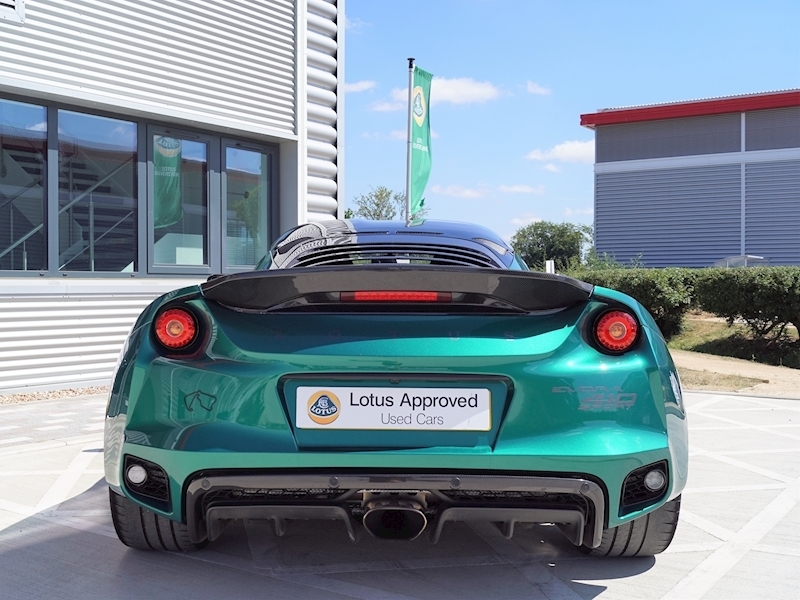 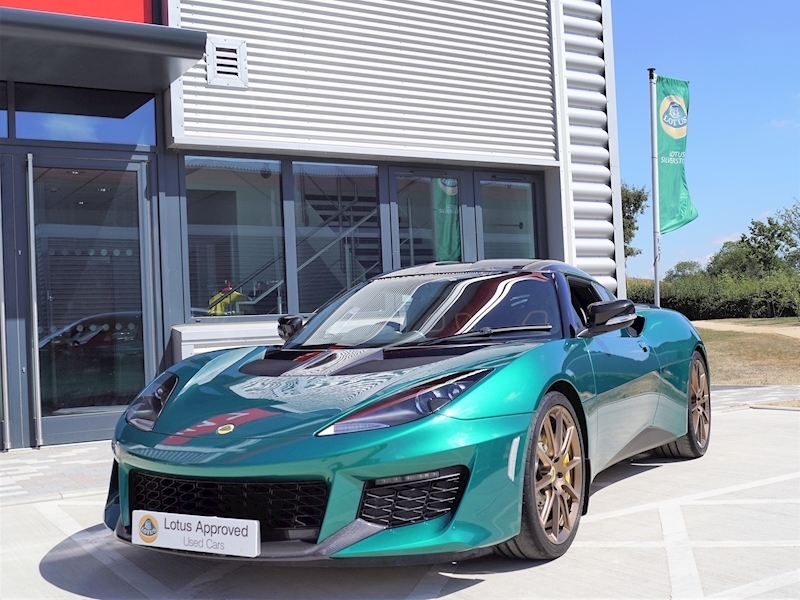 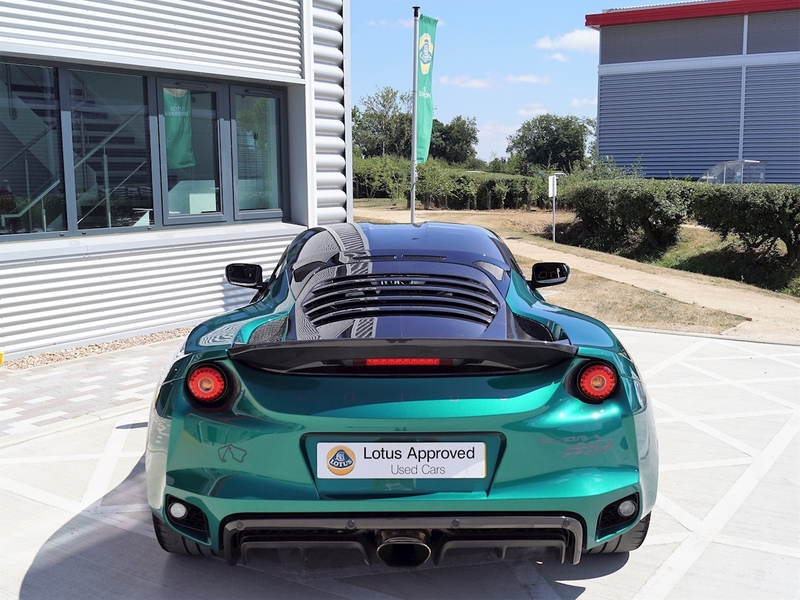 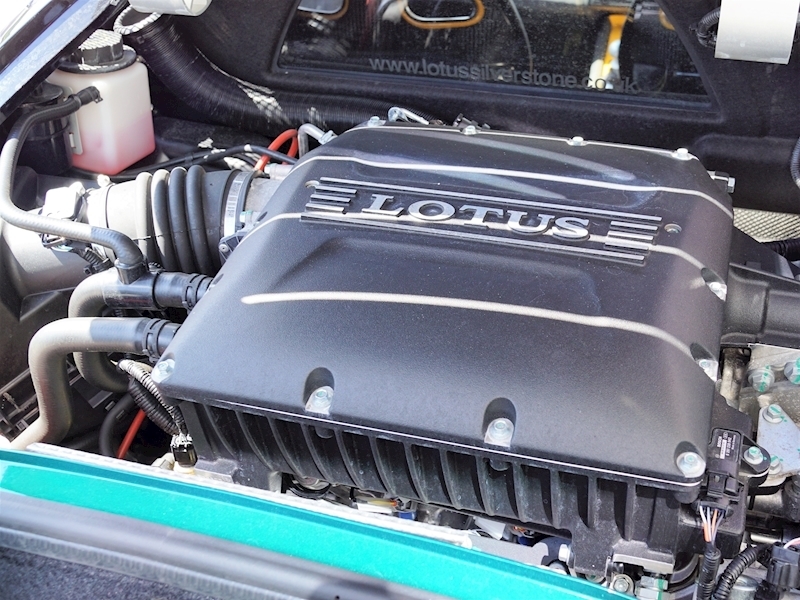 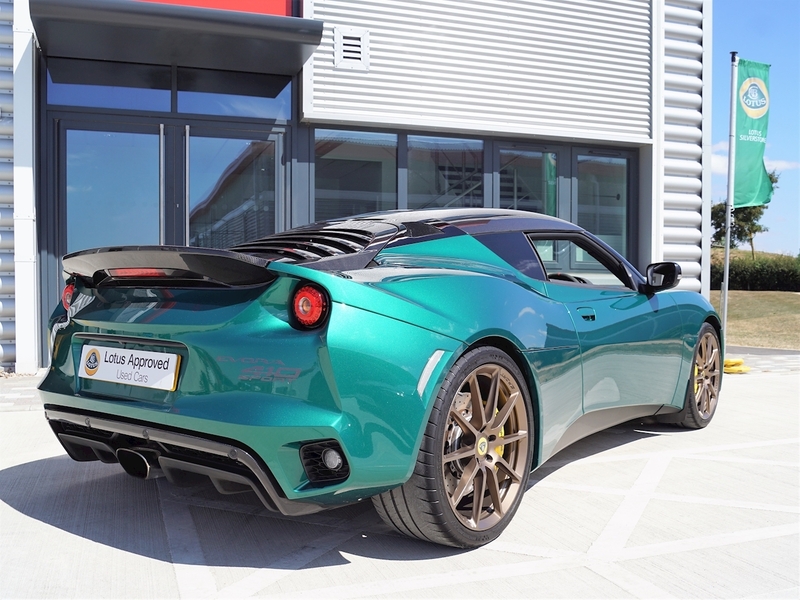 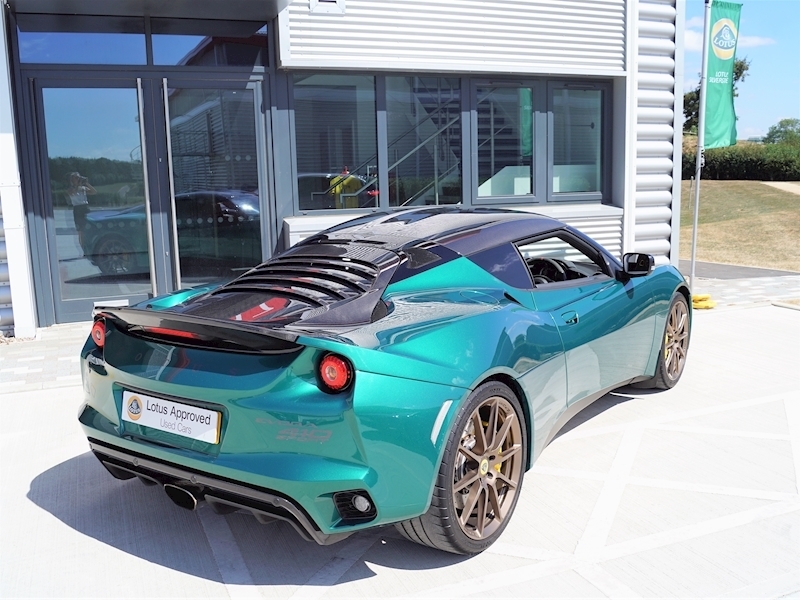 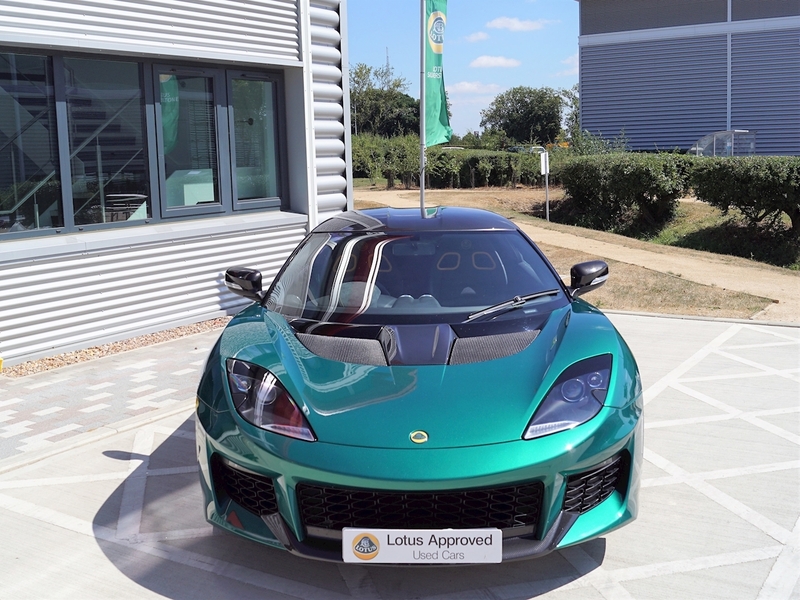 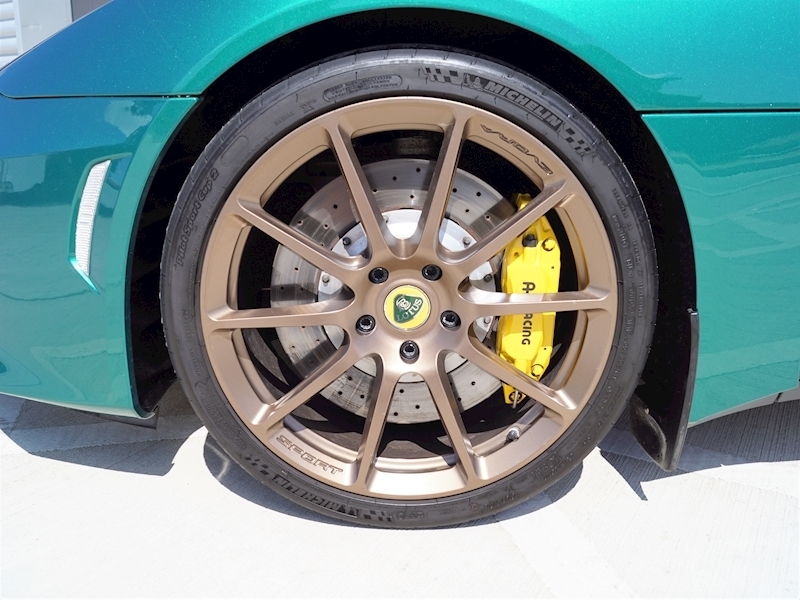 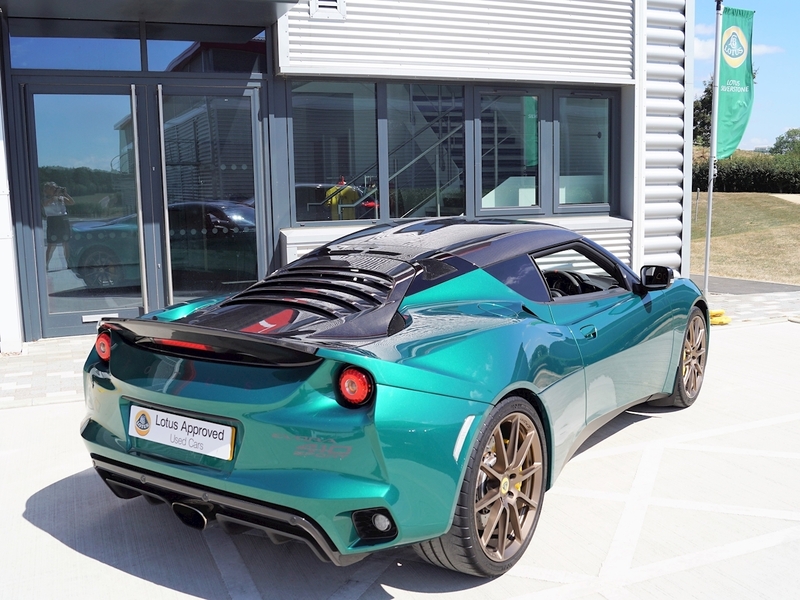 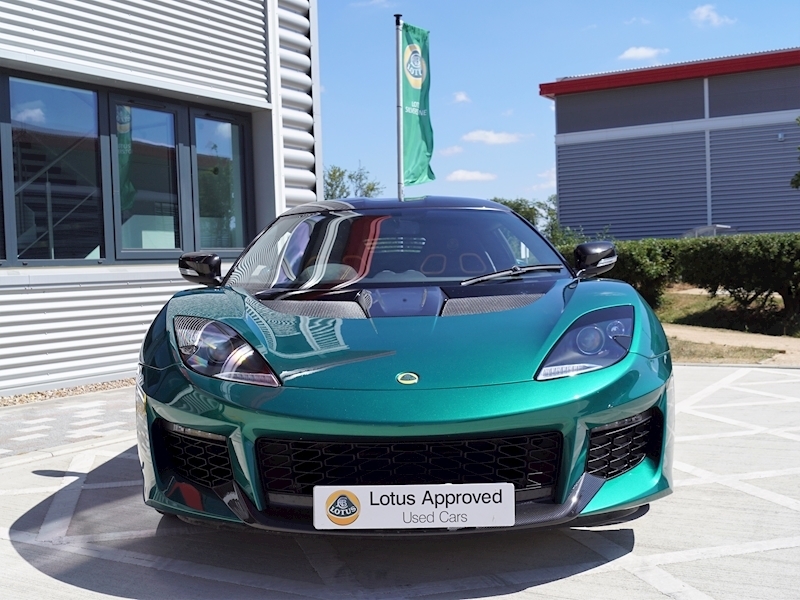 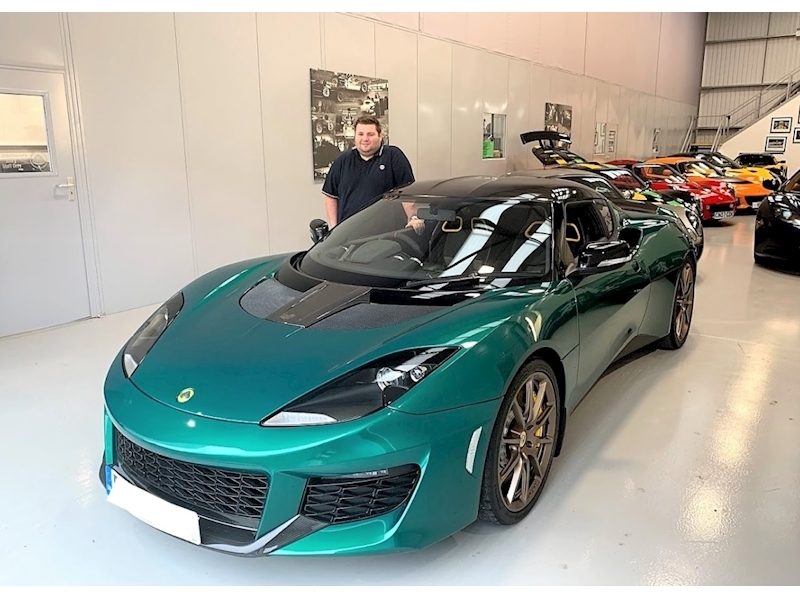 Lotus Evora Sport 410 2+0 finished in Racing Green. Carbon fibre tailgate, Roof panel, Rear quarter panels, Front access panel and Front splitter. 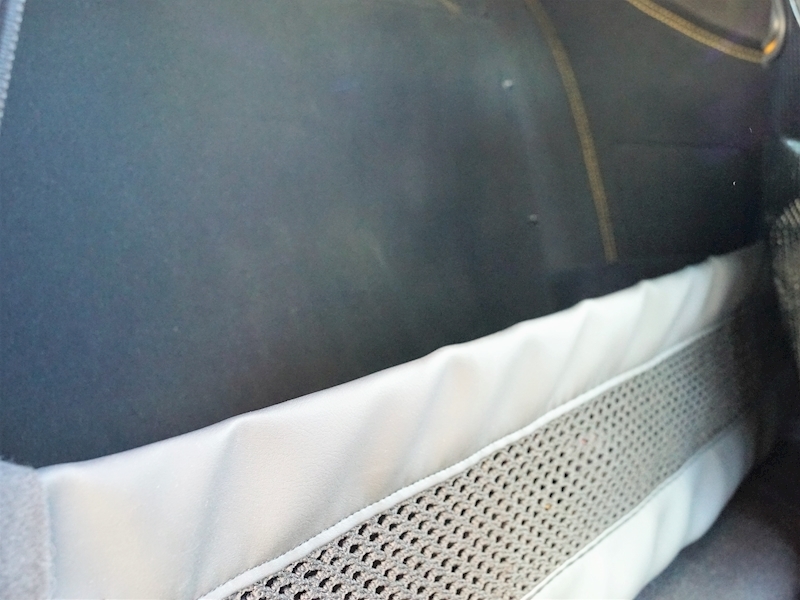 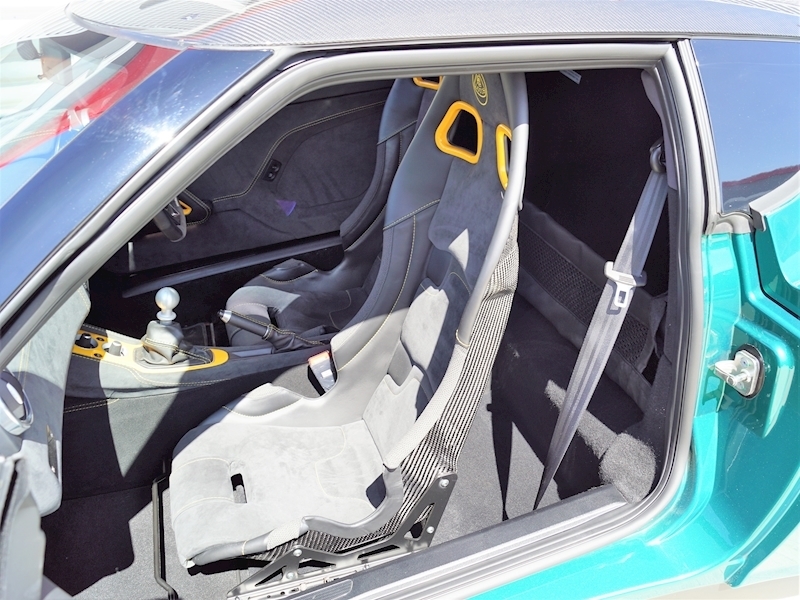 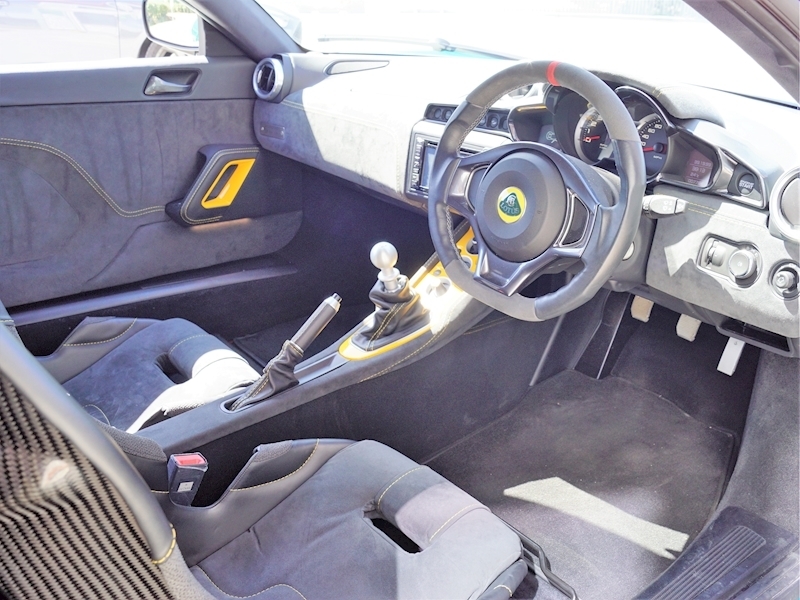 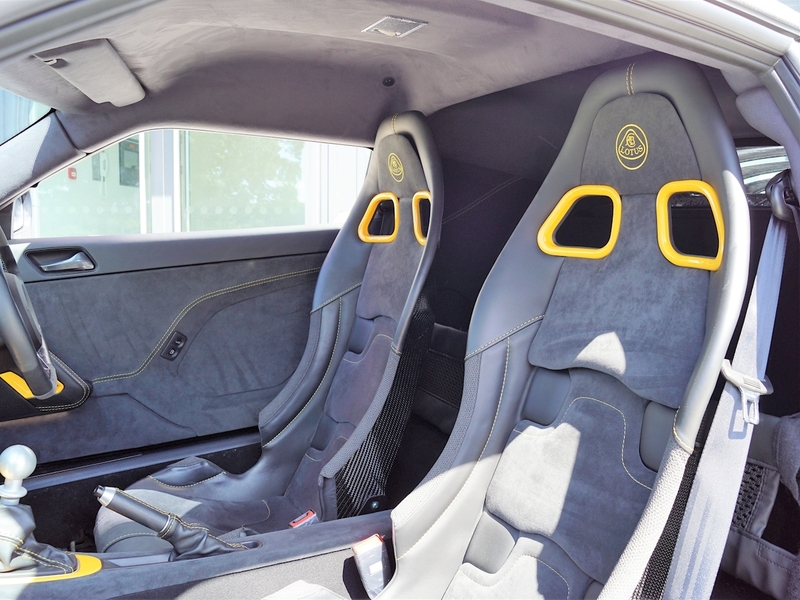 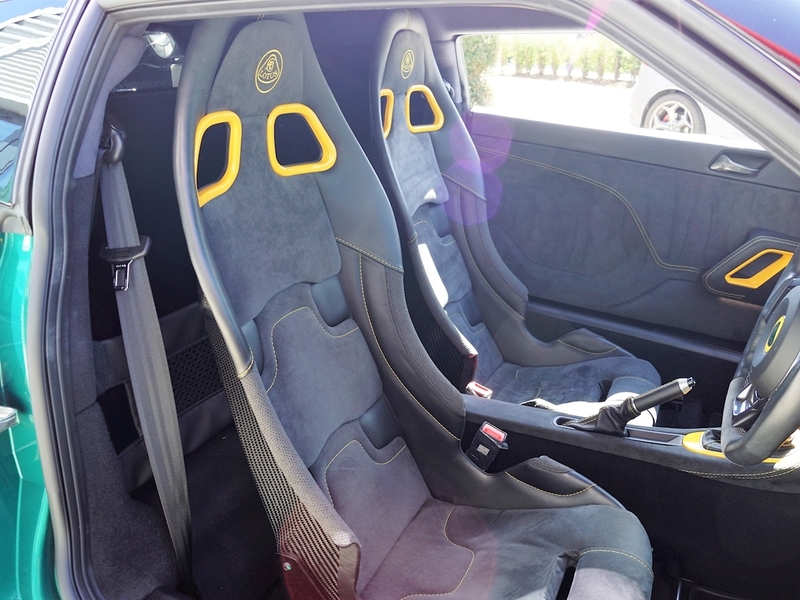 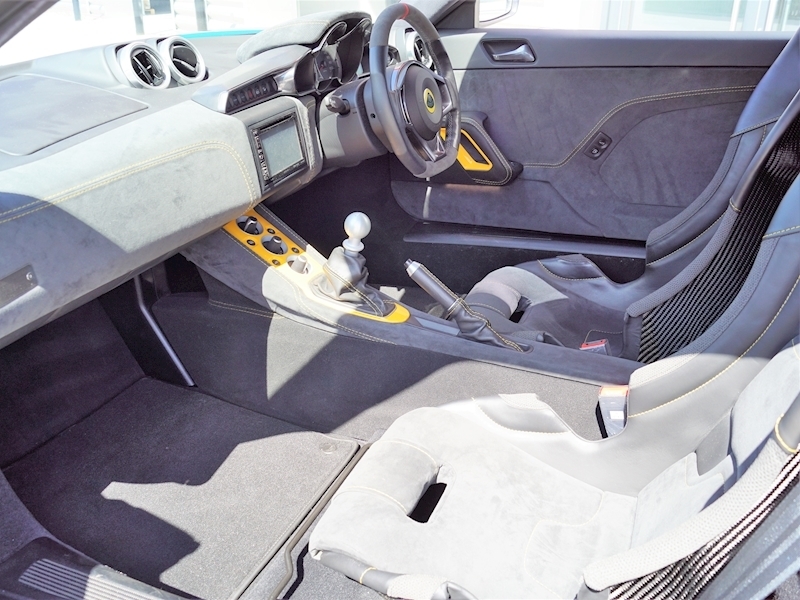 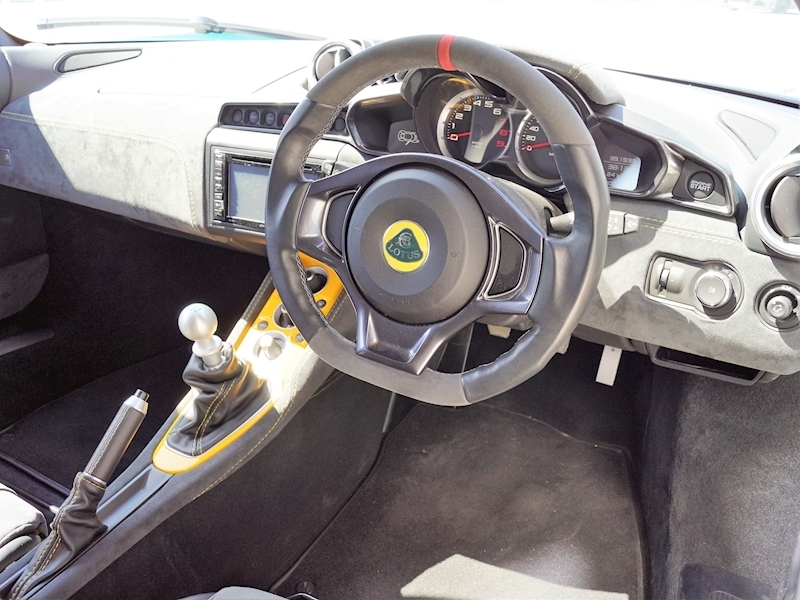 Black Alcantara interior, Trimmed carbon fibre sports seats with Yellow contrast stitching. 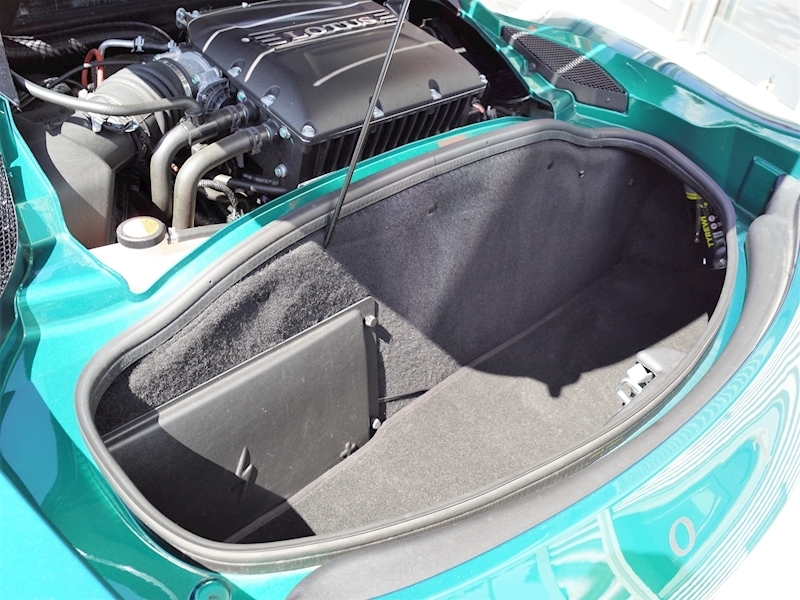 Tracker and Front Clam Stonechip Protection. 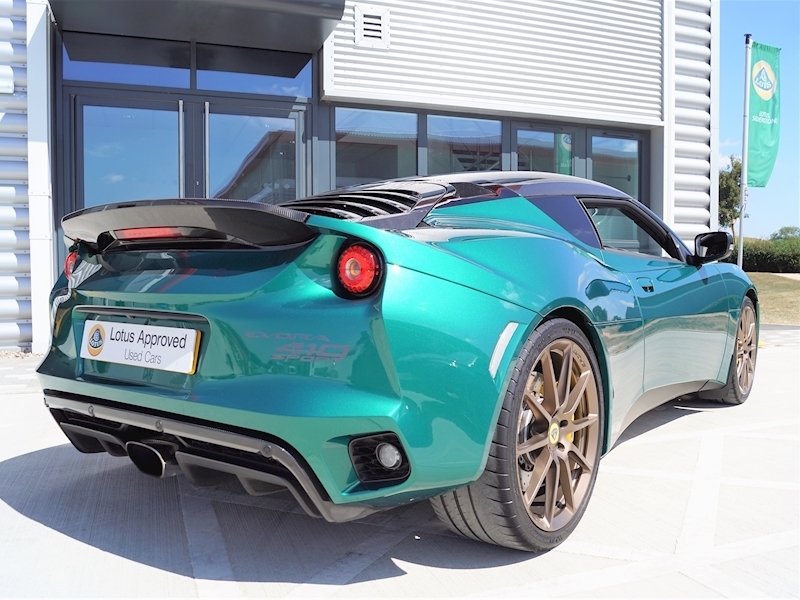 Front and rear: Fully independent suspension, forged aluminium double wishbone suspension, anti-roll bar, Eibach springs and Bilstein dampers. Servo assisted 2-piece cross-drilled and ventilated brake discs with AP Racing four piston calipers.